Medium-sized Indian drugmaker Unichem LabsBSE -0.31 % is exploring the sale of its domestic formulations business. 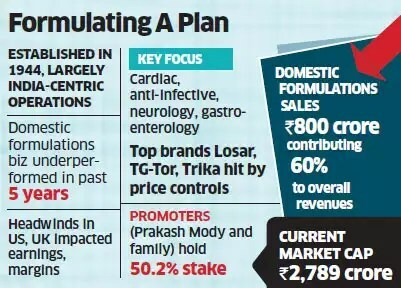 The proposal by one of India’s oldest pharmaceutical companies is at a preliminary stage and is being studied by large strategic investors and private equity firms, several people told ET.Investment bank Jefferies has been hired to seek potential suitors. The valuation could be $1-1.2 billion, said one of those cited above.